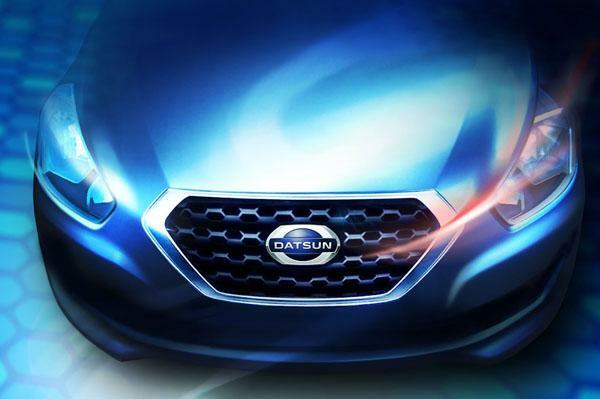 Reborn Datsun has revealed design sketches of its first model in 32 years which will make its world debut on July 15th in New Delhi. The car will mark the return of the Nissan-owned Datsun brand after it was discontinued in 1986. The first new-generation Datsun model is a five-seater hatchback designed for growing economies like India, Russia, Indonesia and South Africa, targeted at an aspirational middle class that is fast embracing car ownership. Internally known as the K2, the first Datsun model will be based on the Nissan Micra platform and will get its three-cylinder, 1.2-liter gasoline engine but with different tuning. Although no interior pics were provided, it is believed the gear lever and handbrake will be positioned on the center console to free space between the front seats. In direct competition with the Hyundai i10 and Maruti Wagon R, the Datsun hatch is expected with a sticker price of around Rs. 3.2 lakh when it goes on sale in mid-2014.